Just five years ago, as dawn unfolded on January 9, 2011, millions of South Sudanese took the final steps on our seventy-year journey to independence. By barge and bus, on animal and foot, we came from the four corners of our homeland and beyond to stand in long lines under a hard sun so that our voices would be heard. And when the polling centers closed, the world did hear us. It heard our shouts of joy; it heard our thankful songs and quiet prayers. Above all, it heard the promise of an end to the crack of rifle and of the cry of mourning. Our bloody, terrifying struggle with the Sudanese regime in Khartoum had come mercifully to an end. Now, however, came the difficult work of building our nation. We knew instinctively that a nation was more than a border and a government, because for 70 years we had been shackled to something that was nothing more than a border and a government. In our own country, we said, our government would act for us and not against. Never again could an official or favored group simply take from us on a whim. And never again would any of us be treated as lesser than any other. It was our friends in the international community who helped shape those feelings into words. "Accountable, representative institutions;" "the Rule of Law;" "inalienable and equitable rights" – for many in South Sudan, the institutional vocabulary was new. But we all had known their meanings by their absence. Five years later, we see how hollow those words can be in the outside world. I recently signed an internationally brokered peace accord to end an insurrection against my government that has plagued us for almost half of our young nation's life. I did not accede to this deal because it is perfect—indeed, the plan undermines the sovereignty and democratic institutions of our nation in key, unfortunate ways. Most obviously, by installing representatives of breakaway factions in positions of equal power, it rewards insurrection and violence over persuasion and democracy—thereby conferring equal status on an elected representative government and a rebel faction, and cementing tribal and ethnic divisions that have kept too many nations from realizing peace or their full potential. Then, too, there is the supra-national Joint Monitoring and Evaluation Commission, to be headed by a foreigner and with absolute veto power over the decisions of the government—even if the parties forming the governing coalition are in agreement. 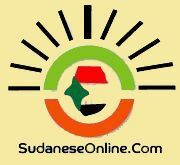 And with the ordered demilitarization of the capital city Juba and our state capitals, South Sudan's territorial integrity is discarded – a risk made worse given our internal issues. Of course we – the elected government – voiced our objections. We were told, however, to keep quiet. From distant capitals came demands that we shred our constitution and the safeguards for the South Sudanese enshrined within it; that we disregard our popular elections and dismantle our representative bodies; that we replace rule of law with political expediency; that we adopt complex formulations of ethnic distribution amongst our elected and appointed leaders, and across our agencies. Some of our international partners in peace even turned to threats and intimidations, both in public and private – sanctions, the withdrawal of aid and support, referrals to the International Criminal Court. The tools of democracy, prosperity and justice, now are used to bludgeon those same principles. Some purported exporters of democratic reform seem to have forgotten that, in republics, changes of government are pursued peacefully and within the laws and structures of civil society – not by outside coercion or force. Or perhaps the mindset of inequality is not as dead as we had hoped. Despite our misgivings, last month I committed our people, their nation and their government to the Compromise Peace Agreement. But let my reasons be clear: I did not sign the accord because of threats or intimidations. I signed because leadership is the art of the possible and choosing between difficult, imperfect options. I signed because a government must lead. And as flawed and troubling as this agreement is, it may bring about the peacewe need in advance of our 2018 elections. Then our people will speak again. Of course, implementing this agreement will face challenges and aspects will simply prove untenable. Our disagreements, after all, are very real, and the accord is that flawed. And when those challenges and flaws come, will the foreigners remember they themselves were the authors and architects of them؟ My hope is that we – the government, our former opposition, our people, and of course the international community – will tackle them together, collegially. Peace will not be easy. It will take patience, compromise, and understanding. It will take resolve, determination and restraint. Now we must be a people who prize nationhood over narrow-mindedness; a people who know each other as countrymen and not by tribe or creed. We are a people who, for generations, have only known war. But together the South Sudanese can work miracles. Our nation's very existence shows it has happened before. Foreign governments and unelected bodies will never revere the South Sudanese vote as we do because they did not sanctify it with their blood. They cannot treasure our sovereignty as we do because they did not suffer to establish. They will not cherish our freedom as we do because they did not taste our oppression. And they will not yearn for our future as we do because it is not their children and grandchildren who will inherit what too many sons and daughters died to create. The words used so often in the marbled halls of long-established capitals still mean something to us. Perhaps that can be our gift of thanks to these partners: That the world's youngest nation serves to reaffirm the vocabulary of democracy – and it's meaning – throughout the world. But first, we must be allowed to do so. 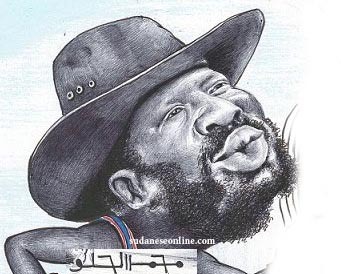 Mr. Kiir is the elected President of South Sudan.